Set in the two-room drab and run-down apartment in New York City on upper Broadway, this comedy concerns the love/hate relationship between two old Vaudeville comedians (long since retired). Willie Clark, the more curmudgeonly of the two – in whose apartment the play is set – is still trying to eke out a living by doing voice-overs, but is too unpredictable to be hired more than once. 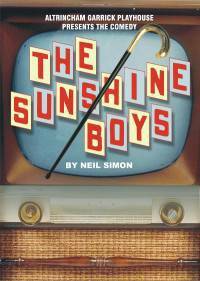 The offer to revive the act THE SUNSHINE BOYS for a television variety show special brings out the best and worst in Lewis and Clark and proves that winding back the clock is just too much to ask – despite the tempting fee. A very special film was made some years ago with Walter Matthau and George Burns.